This is a great craft activity book for children. 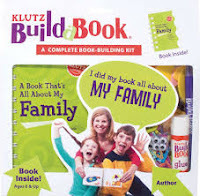 They get to make a book about their family and is as simple as using the materials provided to fill the 10 nearly blank pages. 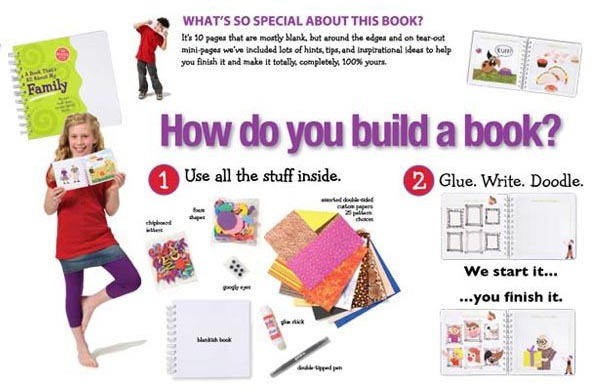 It could be a first book a child writes, a first scrapbook, or just for fun. They can glue, write or draw. 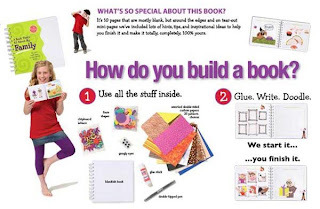 The package includes a 10 page book, chipboard letters, foam shapes, double sided papers, googly eyes and a double-tipped pen. This book is so fun! Do not be surprised if kids want more than one!